Fascinatingly the Z4 has been styled by Australian Calvin Luk. We chatted to this personable young guy when he made a recent visit Downunder and he’s a real genius with the pen, not to mention the computer screen. Luk has given the iconic kidney grille a 3D mesh finish and it sits wider and flatter than before. He tells us the way the elongated bonnet flows into the front section, evokes memories of the legendary BMW 507 Roadster. At the rear, 3D taillights are similarly slim and wide. The lower section of the rear has sharp breather cut-outs, dual trapezoidal exhaust pipes and a sporting diffuser design. The fabric top weighs less than aluminium or steel alternatives. Only 10 seconds is required for the roof to be raised or lowered, which can be done at speeds of up to 50km/h. A wind deflector increases cabin comfort when the roof is open. Individual rollover bars are a great styling feature. Alloy wheels of 18 inches diameter are standard for the BMW Z4 sDrive20i and there’s a selection of 19-inch options. The Z4 sDrive30i has 19-inch units as standard. Bespoke 19-inch alloys finished in M Performance Cerium Grey are fitted to the M40i. ‘Vernasca’ leather upholstery is standard on all variants. It is matched to Alcantara trim and is finished in black with blue contrast stitching. Upholstery is also offered (at no cost) in Ivory White, Black, Magma Red and Cognac full Vernasca leather finishes. 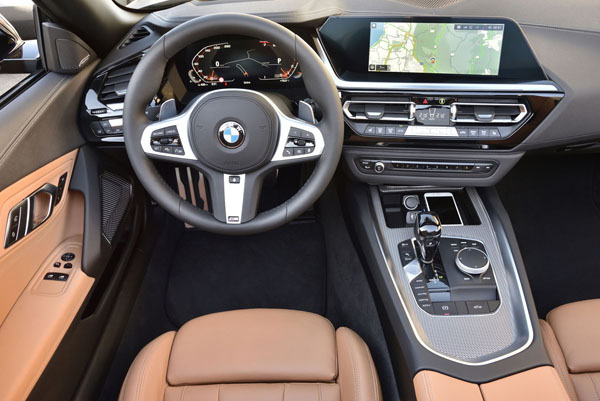 BMW’s Live Cockpit Professional has a 12.3-inch customisable instrument cluster. This not only displays traditional speed, fuel and engine information but can also display navigation and audio content, among other items. 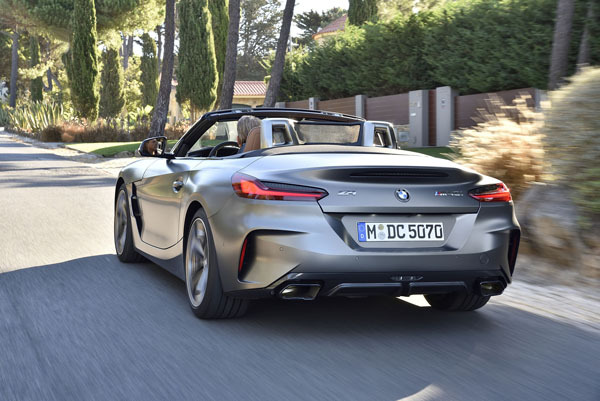 The Z4 sDrive20i has a 2.0-litre, turbocharged four-cylinder petrol engine that develops 145 kW of power, and 320 Nm torque peak, ranging from just 1450 rpm to 4200 rpm. It takes roadster to 100km/h from standstill in 6.6 seconds. The Z4 sDrive30i also the 2.0-litre engine, but it is retuned to 190 kW, with 400 Nm torque from just 1550rpm all the way up to 4400rpm. Zero to 100km/h is quoted at 5.4 seconds. Z4 M Performance-powered BMW Z4 M40i has a straight-six BMW and features a single turbocharger. Power is 250kW and there’s 500Nm from 1600rpm to 4500rpm. Zero to 100km/h takes only 4.5 seconds. All variants have an eight-speed sports automatic, with launch control fitted as standard. 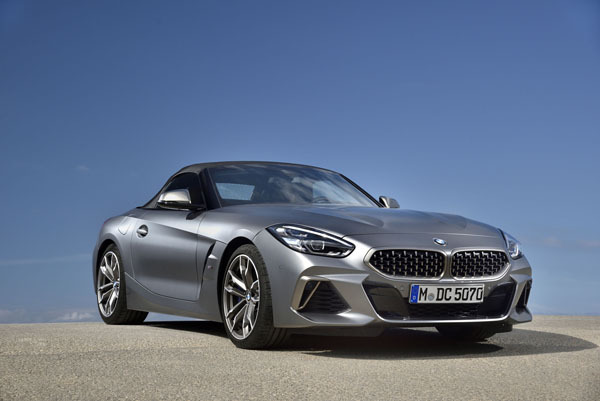 “The all new BMW Z4 is a triumphant return to our enduring Z model heritage,” said BMW Group Australia CEO, Vikram Pawah. “It is a real statement piece for the brand, combining stand-out styling and impressive engine performance with handling dynamics to really please the driver. Note: These prices do not include government or dealer delivery charges. Contact your local BMW dealer for drive-away prices.